Some recent research suggests that 73% of employees exhibit psychological symptoms of stress and 52% of employees admit to calling in sick due to stress. Myself, my design manager Idil Berkan, and a developer Eddie Posey set out to convert an old fur closet into a Meditation room which bridges physical and digital design to facilitate meditation. 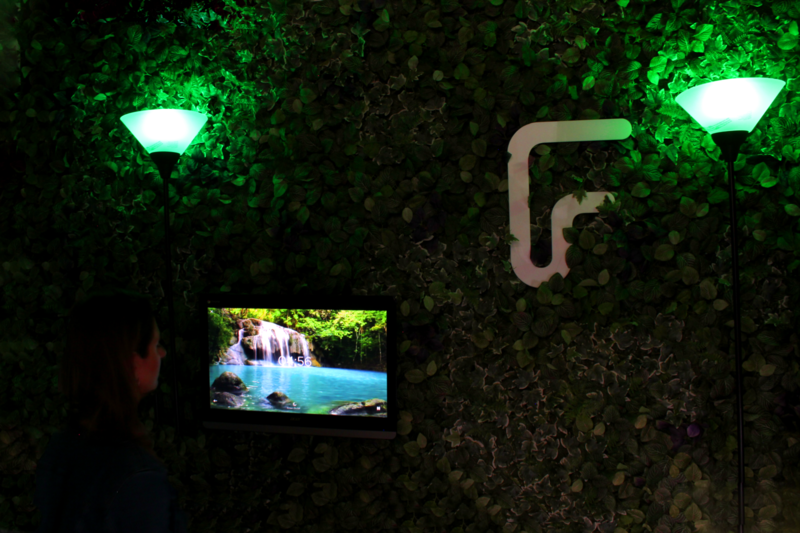 Feels is a mindfulness experience blending digital and physical experiences through interaction. 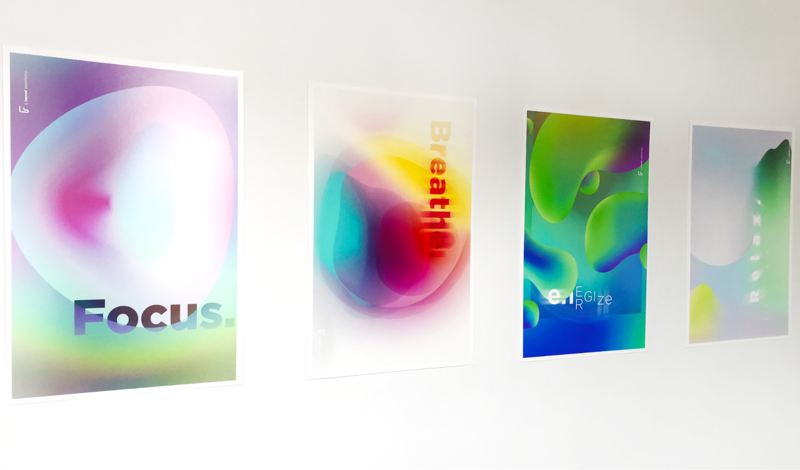 Thinking of space as a product, Feels is a custom designed room that lets users physically adjust to their practice before and during the session. The digital experience currently offers 3 meditation modes: A guided meditation for beginners, an unguided meditation for seasoned practitioners, and a recharge mode for anyone who’d like to disconnect and rest. 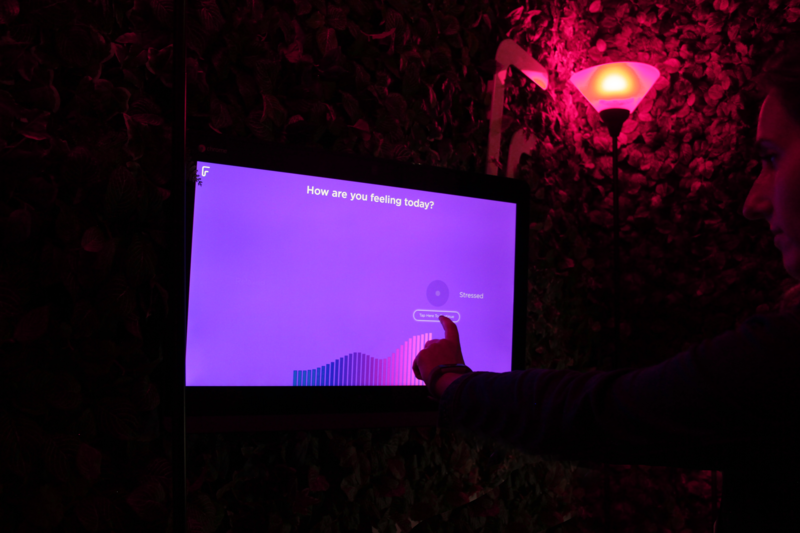 Users indicate how they feel by interacting with the screen, and based on their selections the room responds by activating different IoT enabled-devices such as hue lights and aroma diffusers. This is just the beginning for Feels! We’re kicking off our next phase with an on-the-go Feels product that uses VR technology so users can take this experience with them when they’re out of the office, too. Stay tuned in the next few months!